Lack of cooling agent in the system. 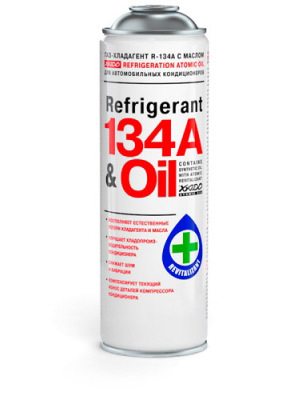 It’s required to make refilling of the air conditioning system with the cooling agent with oil XADO R-134a & Oil or pure cooling agent XADO R-134a. If the leakage in the system is found, and it leaks through compressors seals these seals needs to be replaced. Decrease of pressure in the system because of compressor’s parts wear. Introduce a restoring compound into the air-conditioning system XADO A/C. Clean the radiator. You may usу Verylube Engine compartment cleaner. Eliminate the cause of malfunction. To fill/refill compressor you need to use a test-connector.